Shire launched a $30 billion hostile takeover of all stock for Baxalta, a drug maker based in the U.S. that was spun off recently from Baxter, after its first proposal to the board at the company was rebuffed. Shire, based in Dublin and listed in the UK, said the combination with Baxalta would create a company with sales of products of more than $20 billion by 2020 and urged that the board at Baxalta enter into negotiations. The proposal has added to a series of deal that have swept the pharmaceutical industry over the past couple of years as drug makers try to grab growth asset to seek more efficiency. Under its offer, Shire shareholders would be owners of 63% of the new combined company and shareholders of Baxalta would have 37%. The per share offer of $45.23 that was unsolicited would represent a premium of 36% of the stock price of Baxalta as of August 3. Including all debt, Shire said its offer would give Baxalta an enterprise value of more than $33.9 billion. Shares of Shire were down by 3.9% on the news of its unsolicited approach. 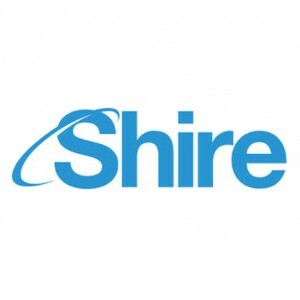 Flemming Ornskov the CEO at Shire said the company believes the possible combination would be financially and strategically attractive for both companies. Shire announced that it would create a global leader in the rare disease treatment sector. Ornskov sent an open letter to his counterpart at Baxalta, Ludwig Hantson that said he was surprised at the refusal by the company to engage with Shire with the exception of one brief meeting held back on July 10. Shire said it decided to make the offer all stock to avoid risks of incurring a big tax bill to complete the billion dollar deal. If this deal were to be completed, Shire would offer shareholders an immediate buy back option that effectively would give Baxalta’s investors a way out. This deal would end up being one of the 10 biggest by a company that is UK listed. The offer just the most recent of a series of unsolicited bids in the healthcare and pharmaceutical sectors, which highlights how determined the companies are to complete deals prior to the positive conditions in the market change.